Since our father founded our company in 1962, we have based the business on a philosophy of respect and understanding for the unique financial situations and family dynamics of all of our clients. We work with people from all backgrounds, ages, and resources to find the best, all-encompassing coverage to suit their particular needs. Ralph Talanian Insurance has a wide array of coverage options – home, boat, auto, business, life, and more – from reputable, local companies like Arbella, Quincy Mutual, SBLI, New York Life, and many others. We strive to protect your personal assets and prepare you for a secure future by offering expert advice, friendly, efficient service, and the most affordable insurance plans on the market. 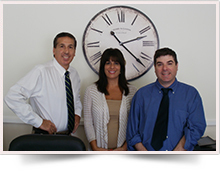 We invite you to come visit us at Ralph Talanian and experience why our family has been servicing the insurance needs of Massachusetts resident’s for more than 50 years.